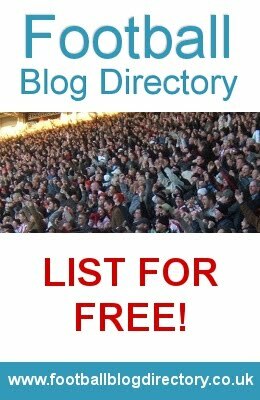 Top of the table Saints head to West Yorkshire on Saturday to take on Leeds United in front of the cameras, and not only will there likely be a former Saints player on the Elland Road’s sides bench, but also a Saints fan…. The German born, Northen Ireland international goalkeeper Taylor started his semi-professional footballing career while still serving in the British Army. Stationed in Hampshire he represented Petersfield and Basingstoke Town’s respectively before joining Farnborough Town where he was part of the team that won the Southern League Premier Division in 1994. It was while playing for the now defunct club that he was spotted by League Two Barnet and was given his first professional contract. His performances at Underhill soon meant he was destined for greater things, and just a season and a half later he was heading back to Hampshire and the Premier League. Graeme Souness was the man who took the gamble on the lower league keeper, signing him in the January of 1997 for a fee of £500k. He replaced the ageing Dave Beasant and soon had the fans on his side with some impressive shot stopping, representing the club he had supported as a child. Saints fans finally felt like they had their replacement for Tim Flowers, albeit somewhat late. Maik Taylor in international action. Sadly for Taylor, Souness was to leave in the summer, and despite Taylor’s proficient displays the Scotsman’s replacement Dave Jones bought his namesake and number one from Stockport County with him. Paul Jones was immediately installed as first choice and Taylor had to make do with a place on the bench, a victim of a rare season in Saints history where they had two good stoppers in one season! Taylor headed for Kevin Keegan’s Fulham on 17th November 1997 for £800k, surprisingly dropping to the second division. After nearly 200 appearances for the Cottagers and two league titles he moved on to Birmingham City. 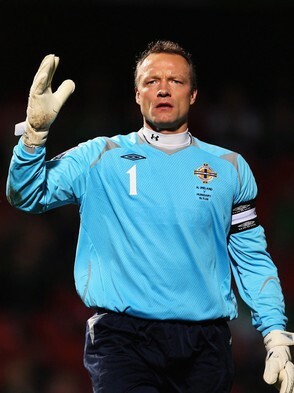 He also established himself as the first choice goalkeeper for Northen Ireland gaining 88 caps between 1999 and 2011. He signed for Leeds United in Novemeber 2011 and recently had his contract extended to the end of the season, now aged 40.